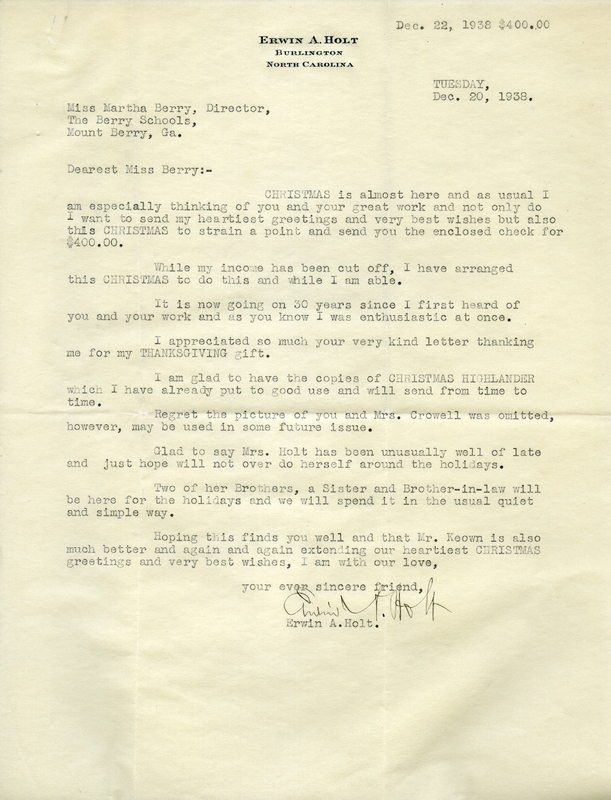 In this letter Erwin A. Holt tells Martha Berry that he attached his usual Christmas gift of $400 for the Berry Schools. Erwin A. Holt, “Letter to Miss Berry from Erwin A. Holt.” Martha Berry Digital Archive. Eds. Schlitz, Stephanie A., Jordan Brannen, Jessica Hornbuckle, et al. Mount Berry: Berry College, 2016. accessed April 20, 2019, https://mbda.berry.edu/items/show/14632.